In the era of shortening of investment implementation time and the increasing popularity of the delivery of components in the "Just in time” system, and also with the growing consciousness of the need to save energy, a need to optimize investment costs, operating costs and accelerate investments arose, as well as a need to accelerate the implementation of the whole process of investment design and implementation. IT tools and programmes are indispensable here. 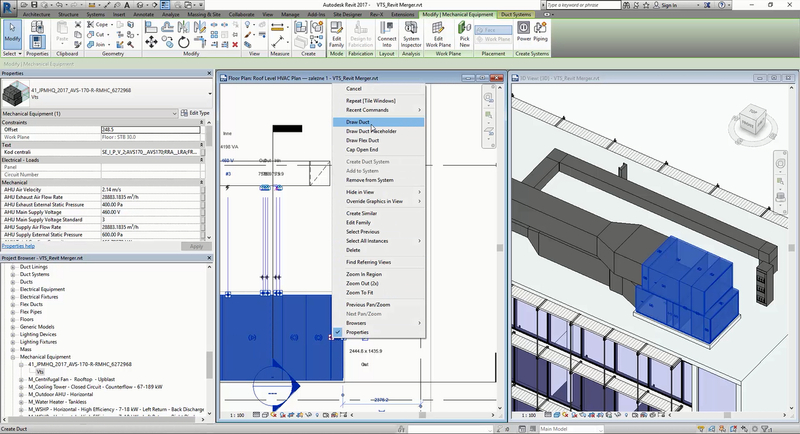 Building Information Modeling (BIM) can be defined as a smart combination of multiple pieces of information in one place, in one digital model. BIM is nothing but just a digital reflection of the physical and functional properties of the whole object and its specific installations or used components. There are many programmes available on the market, offering BIM class. The following ones can be listed here: Autodesk Revit®, Graphisoft ArchiCAD®, BIMVision®, Nemetschek Allplan®, Nemetschek Vectorworks®, Tekla Structures®, and SketchUp®. 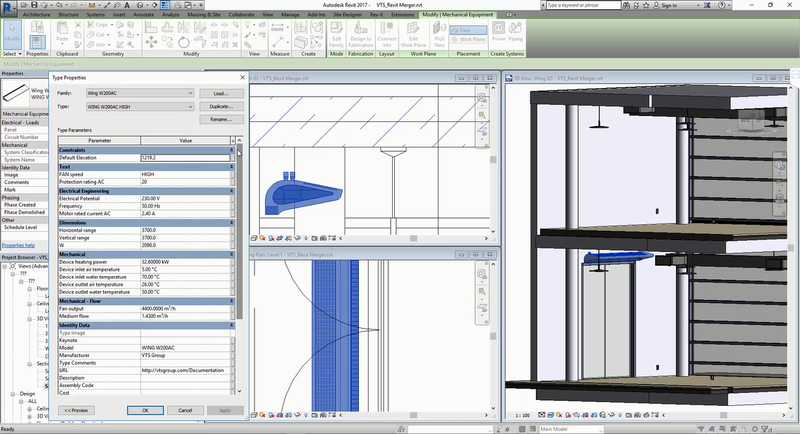 In the MEP branch (Mechanical, Electrical and Plumbing), the models in the RFA (Revit®) format seem to be the most popular. 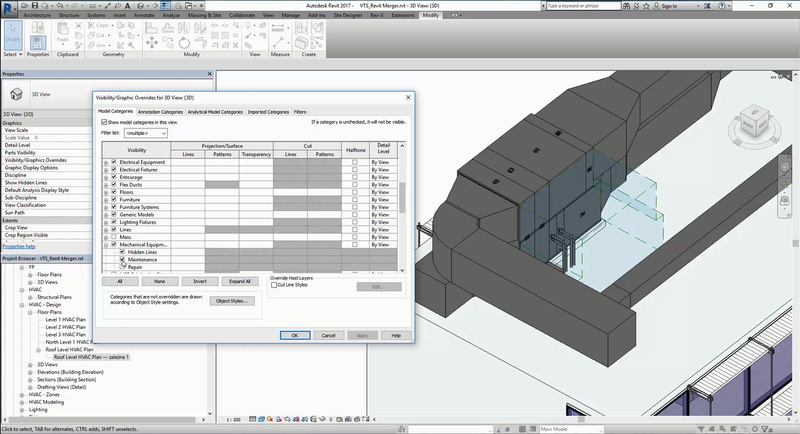 This file format makes it possible to develop a multi-branch, parametric digital model of the building, so it is possible to conduct various analyzes (e.g. power supply, endurance, maintenance, etc. ), leading to the optimization of the investment before construction works begin. The analyses are the more precise and reliable, the more accurate the data and parameters defined in the model are. Therefore, the entire design industry strives to ensure that only libraries provided by equipment manufacturers are in use, because they contain a set of parameters characterizing the individual components of the facility and its installations. More and more producers provide digital models of their products. Usually they are only example models or models containing basic nominal operating parameters with exemplary manner of their connection to installation connectors . These models are a good solution in the case of quite simple devices. The application of air-handling units cooperating with the air ducts system is related to the need to design adequate system for the whole building and the specification of the intended use of specific rooms already at the beginning of the project. It often happens that the initial assumptions evolve during the project. The concepts of distribution of hydraulic, electrical and air systems change, together with the manner of installation connection to the air handling unit. In such cases static producer libraries of devices contain parameters which are outdated (not following the changes), which on the other hand does not ensure updated data in the multi-branch data exchange. The libraries can be modified manually, but this process is extremely time consuming and fraught with risk of errors. In order to meet these needs, VTS has created the possibilities of generating digital models of VENTUS air-handling models on-line. This is possible thanks to the implementation of a new ClimaCAD OnLine 4.0 selection tool, which contains RFA files generator. as well as the complete dimensional data, the device maintenance zone and the service (repair) zone. Connector parameters are presented both in metric or imperial units, according to the user’s preferences. Each connector can be used in the Preset or Calculating mode without the loss of data. The new object can be generated in just few minutes. 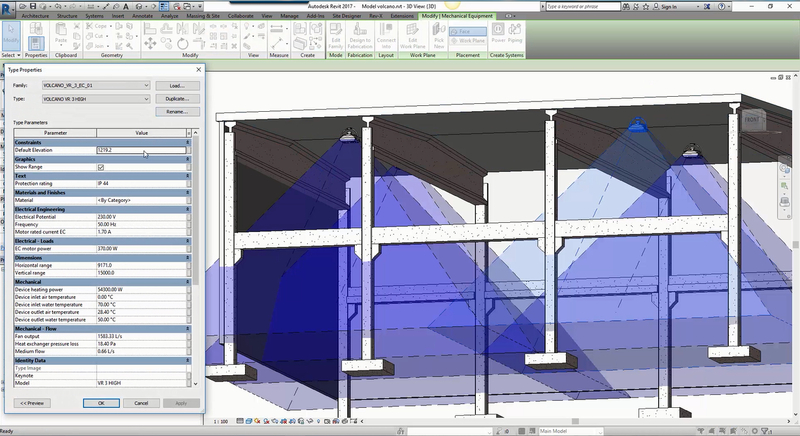 Digital models of WING air curtains and VOLCANO air heaters. VTS also provides digital models of WING air curtains and VOLCANO air heaters. The models contain parametrized electric and hydraulic connectors. The families are constructed in a manner enabling the designer an intuitive selection of the correct installation, either vertical or horizontal, together with the presentation of the range of air stream. The parameter of any inclination angle of an air heater in relation to the horizontal plane is available in the case of VOLCANO air heaters. An adequate air stream has been defined for any position of device operation. The visualization of air stream scope enables the designer to distribute the devices in a way that ensures the meet design criteria. The release of so called families for the Autodesk Revit® environment by VTS makes it easier to design agencies to model the building installations on the basis of using the same platform. 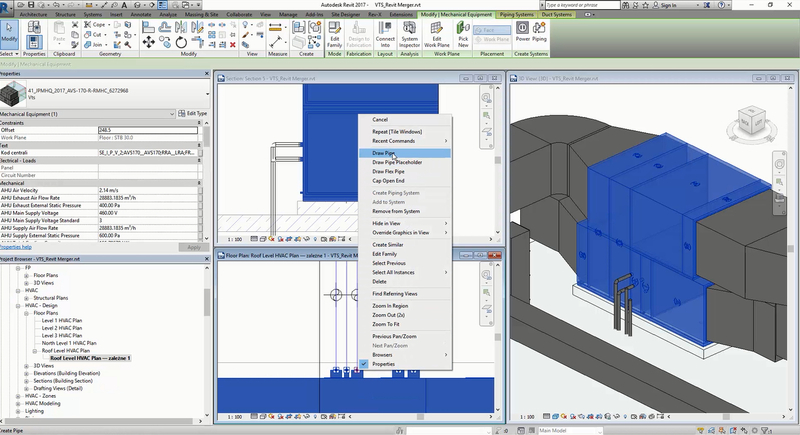 At present the on-line generator is a unique solution in BIM environment. It enables the generation of a VENTUS air-handling unit model practically in no time in any configuration and with any parameters.